Every kingdom throughout history, including our modern world countries, had soldiers for protection. There are a few reasons kings establish armies of soldiers; to protect from invaders and to advance the territory that belongs to the king. The army also keeps the peace of the land and the kings' decrees. The soldiers obey the kings' directives without questioning the king's directives or his authority to send them. Today, we may not have physical kingdoms anymore as they did in medieval times but two kingdoms do exist and we must make a choice about which kingdom we want to live in. The Kingdom of God is ruled by the King of Kings, and the Kingdom of Darkness is ruled by Satan. Satan is the ruler of this world and we have to live in this world without being a Citizen of the Kingdom of Darkness. We serve the King of Kings and Lord of Lords. We must represent our King in such a way that we are immediately identifiable as Citizens of the Kingdom of God. We are in a battle for our souls. Our enemy is alive and well and roaming the earth seeking whom he may devour. He has infiltrated the Body of Christ with a teaching that says the battle is already won and we no longer have to fight. 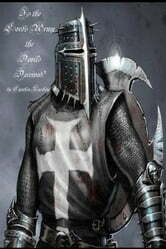 Many Christians have laid their weapons down and become prisoners of war. It is time, Church, to rescue our prisoners and advance the Kingdom of God. Books related to Is the Lord's Army the Devil's Deceived?